after a week's break. We have all had a wonderful Christmas and I'm looking forward to sharing some of our memories with you over the next upcoming blog posts. Today I turn 34 weeks, which means I am down to only six weeks left of pregnancy! Now that Christmas day has been and gone, I know the rest of these last weeks are going to fly by and it's actually a bit sad to think these weekly 'bump dates' will come to an end. 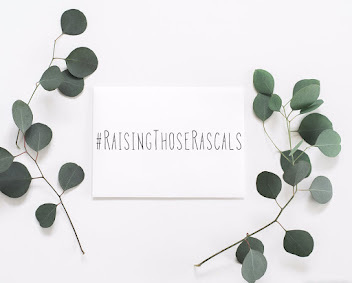 Before I get ahead of myself though, i'll give you a rundown of the last couple of weeks as I didn't get around to posting my 33 week update last week as we were in the midst of last minute Christmas preparations! How far along? 34 weeks! Total weight gain/measurements? As we have been visiting family and are now staying with Eddy's family for New year, I haven't been weighing or measuring myself. Also, as last week was Christmas week, I was too scared to jump on any set of scales as I know we have been feasting! So, for the last couple of weeks, I have tried to completely avoid worrying about weight gain -we will see what the scales say next week! Maternity clothes: I am wearing maternity clothes pretty constantly at the moment. Although I'm starting to get tired of repeating the same formula of maternity jeans and long tops, I am reluctant to keep shopping for new pieces now as I know the pregnancy is coming to an end. However, I have had a few nice pieces over Christmas which are not maternity: A couple of winter coats and some boots and shoes have been a nice alternative to my usual uniform! Stretch marks: No new ones, but I still have a couple of those red dots on some old stretch marks that I mentioned in my last post. They haven't changed in any way and they are pretty minuscule anyway,so I am not too bothered by them. Sleep: My quality of sleep seems to have taken a bit of a 180 degree turn. I'm finding it pretty hard to get comfortable and my muscles are feeling quite sore at the moment. That said, once I do fall asleep- I'm out for the count! Best moment this week? It would have to be last week on Christmas day- seeing Noah's excitement and joy. He loved his stocking from Father Christmas and was very excited to see all the goodies under the tree too. He particularly loved playing with his little 2 year old cousin and I think just seeing their interaction with each other was so precious. It's really special to think of how close my older sister and I were growing up and now to see how close our children are becoming really moves me! Movement? Loads of movement especially in the evenings. I was saying to my husband yesterday that I really can't remember Noah being this 'punchy' even when I was in the last stages of pregnancy with him. This boy is so strong and active, I'm pretty convinced he is going to be a big baby like his brother! Food cravings: Pass...we have just had Christmas so I am not going to punish myself with guilt, haha! Anything making you feel queasey or sick? Heartburn! Labour signs? I remember late in pregnancy with Noah feeling a kind of constant 'periody' feeling with lots of dull aches and cramps. Those symptoms seem to be flaring up again but don't worry- I don't think I am anywhere near giving birth yet! If anything, I think my body is probably just starting to get ready. Symptoms: Heartburn has been at its all time worst these last two weeks and after eating anything I get horrible burning in my throat and stomach. This was definitely not as extreme with Noah, and it is pretty uncomfortable, I'm not going to lie! Rennies are helping a lot, but its frustrating me that every time I bend over to pick up Noah, or even roll over in bed, I have a surge of fiery heartburn. The other symptom that I have really noticed over the last few weeks is discomfort in my hips and lower back. In labour with Noah, especially in the early stage, I remember feeling pain in my hips and back and it's not too dissimilar to that sensation. I find I can't sit at the dinner table for too long or in any one position for too long without it becoming pretty uncomfortable. I am sure that the baby has 'dropped' down a bit as the pressure has changed and these new kinds of symptoms are pretty typical of late pregnancy. Looking forward to? New year! I can't believe tomorrow is the first day of Jan 2015, which means we will be having this baby the following month! 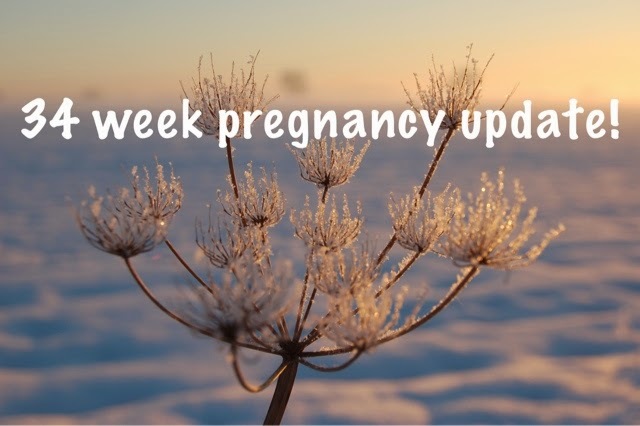 That's everything for this week's update, don't forget to check back next week for my 35 week update! I hope you all have a wonderful New Year's celebration if you are doing anything fun! And I wish you all the best for 2015!